Are you into delivering a gamut of mobile app development services for various business companies?? Is it a start-up? Or, have you been running the venture for a long time? Well, in either way, you might be receiving an end number of opportunities. Can you really afford being laid-back or easy-going even for a minute? The answer would definitely be a big ‘No’! Researches have shown that the biggest challenge involved in such business is not being able to figure out the real scope connected with the vocation. When it becomes too tricky at times, too many ideas also make it quite tough to meet the success line. However, you can actually make it easier by following some simple lineups or ballots. 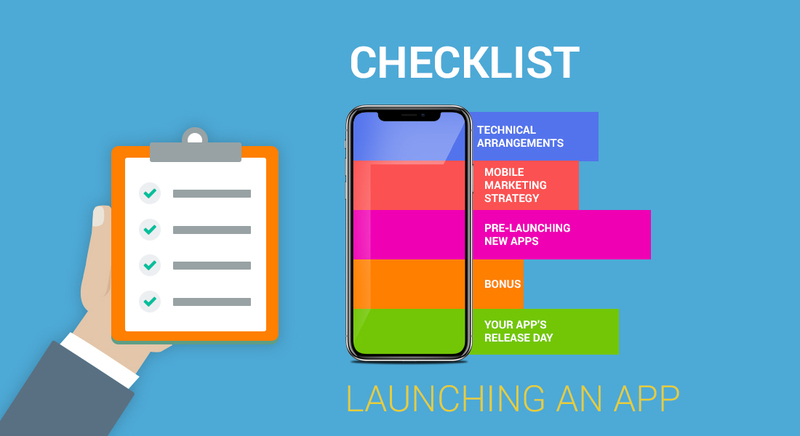 This post brings before you few important checklists to mull over while launching a new app as well as dealing with your clients. Know Your Product the Best– This is perhaps the most important thing you should consider while you are up with your mobile application development business. Among a number of other vital things to be done, you should always be well-aware of the main essence of the app in the best possible manner, so that you can brief the product to your clients just in a jiffy. The better you can summarise your app, the greater is the chance for you to crack the deal. Recognise Your Target Audience And Their Requirements– This is again one of the smartest ways to stay close to your profit line. The perfect way you can offer the best product to the users is by understanding their needs. So, before you proceed with anything, try to gauge out the issues your mobile application is going to puzzle out for them. Once you are done with it, then you better know which platform should be in use for the best outcome. At the same time, you should also be aware of every possible risk involved in making the application; thereby shunning away all the possibilities of incurring loss. Make sure that you are always one step ahead of ruining your mobile app development capability. Take Time to Eye around All Your Constraints– Although you are all set to launch a new mobile app, you should always take time to adjudge the limitations the application has got to function within. This way, you can not only manage to pave in the way for a user-friendly product, but will also be able to retain customer satisfaction at its best. Is it going to appear good in the application store? Will this work equally on every format? What are the possible sweeps and scopes it leaves for the clients to let them have an amazing experience?- These are the common queries you should always be asking yourself before setting the app afloat. Try to Figure out How Exactly Your Application Is Going to Be Anchored– There are always better ways to do things. When certain micro services can make it do wonder, some patent add-ons can also make it work faster. As a sharp-witted mobile app development company, you should always be wise enough to look into the fact that which additional service needs to be plugged into time to time. A mobile responsive website should always be there along with the app in order to pitch in with the user’s requirements. Adhering to such important criteria is what a pro must be in practice with. Last but not the least; one should also have the best knowledge about how the user generated content is likely to appear on the app before it is launched.This way, you can always pave the way for customer delight. Explore Your Competitors– This is again one of the main yardsticks to follow. The better you know your competitors, the smarter you are going to be on your deliveries. You should always be well-aware of the strength and shortcoming of your opponents, so that you can compete with them the best. Before you kick off your new mobile app, make sure that the new features you are launching are highly in demand. Hence, you can trigger your target in the best possible manner. These are the important lineups to adhere to while rolling out a new mobile application. This post is surely going to find the key to many of your doubts and make it a pleasant encounter for you.